I went to Ross two weekends in a row, the second time because a friend was looking for summer dresses. I bought two tops and some underwear: jewel-toned lacy underwears that are lovely except it turns out I have more backside than they do. I think maybe it’s supposed to be like that and it’s less coverage by design, so I’m going to give ’em another spin around the block and I see what I think. June 4, 2011. 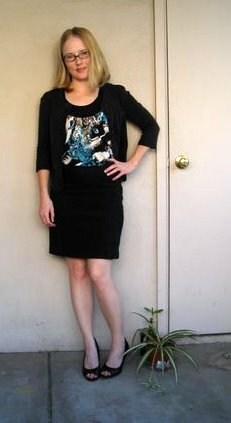 Tags: clothes, completed project, refashion, shopping, Target, What I Wore to Work Today. Pictures, Projects, What I Wore to Work Today, Words.